There are kitchens that feel like the heart of the home, and those that only seem to cause frustration. 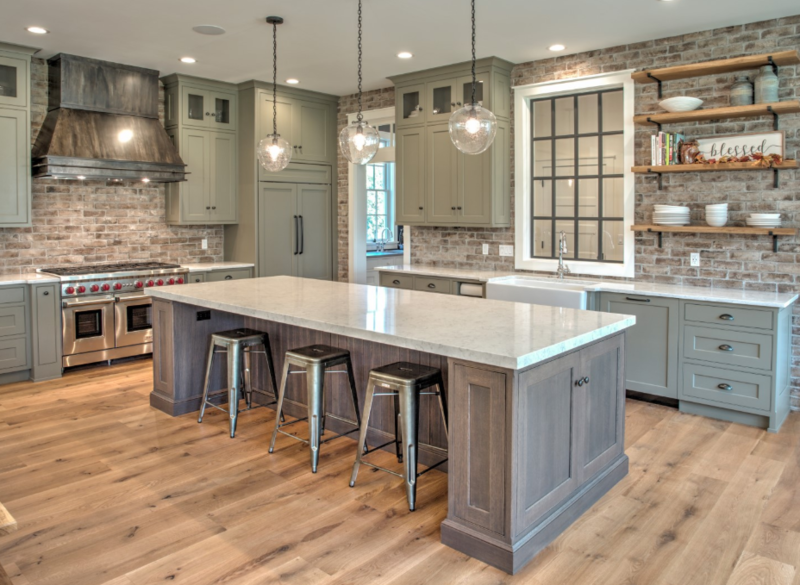 If it sounds like yours fits into the latter category, then it’s likely missing one or more of the top 5 traits of comfortable custom kitchens. Below, we’ll go over each of these traits and look at why they’re so integral to a custom kitchens that’s fun, functional, and easy-to-use. In kitchen design, the “work triangle” is the shape created by the lines that connect the kitchen’s main work areas: the sink, stove, and refrigerator. These lines will typically be the most traveled paths in the kitchen. Therefore, a balanced work triangle has just the right amount of distance between each of these points. Ideally, the total sum of all the work triangle’s lines, or “legs”, should not exceed 25 feet, and should not fall under 10 feet. The goal is to make it easy for you to move between your kitchen’s hotspots without feeling too cramped or walking too far. One of the most important traits of a comfortable kitchen is the presence of adequate workspace. That means that there should be plenty of surface area for preparing ingredients, setting down cookware, and using small appliances like blenders or toasters. When there isn’t enough space for this, your kitchen can easily become messy and chaotic. There are a variety of ways to increase the number of worktops available in your kitchen. Aside from installing longer and wider countertops, you can also opt for sinks with built-in chopping board covers, chopping boards that pull out from under the counter, and of course, kitchen islands. There’s nothing worse than a cramped kitchen. Unfortunately, they’re quite common. When the pathways between walls, countertops, islands, and/or large appliances are too narrow, they can be hard to navigate. A comfortable kitchen has pathways wide enough to accommodate however many people are usually working in the kitchen. In a kitchen’s working areas, the pathways should be at least 42 inches wide if there’s typically only one cook, and 48 inches wide for additional cooks. Walkways that pass through non-working areas should be at least 36 inches wide. Dim mood lighting can be great for dining rooms and lounge areas, but it’s not ideal for kitchens. Your kitchen should be bright and well-lit, allowing you to clearly see what you’re doing as you chop vegetables, search your cabinets, and handle hot cookware. Using various sources of illumination can help you achieve perfect lighting in your kitchen. 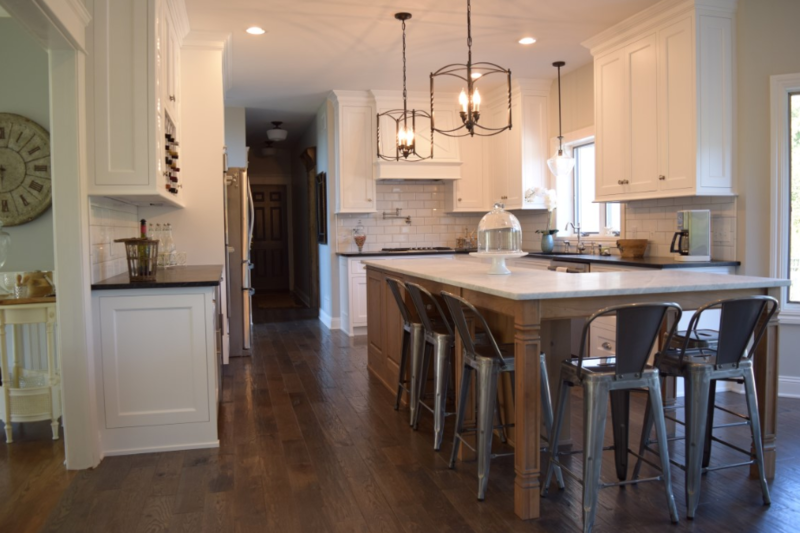 Recessed ceiling lights, hanging pendants, and under-cabinet lighting can all be combined, as well as lighting within your cabinets to maximize visibility. One of the biggest problems our customers ask us to solve is a lack of storage space in their kitchens. Not only are there simply not enough cabinets and drawers, these storage areas are also inefficiently designed. A well-designed kitchen makes the most of available space by seizing every opportunity for storage. 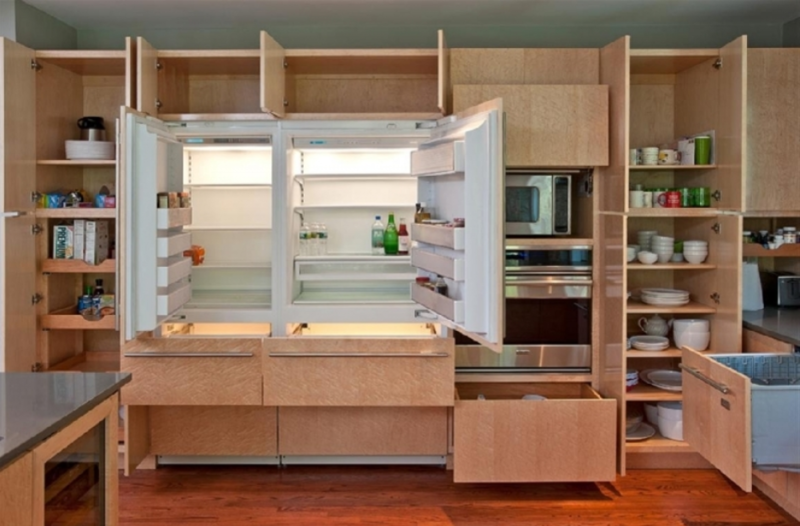 Cabinets should be placed in areas that are often ignored, such as above refrigerators. Additionally, smart upgrades should be made to optimize the accessibility of storage areas, such as pull-out shelving and built-in organizers. With a little expert help, you can transform even the most uncomfortable kitchen into one that is a joy to cook in. Our team here at Laslo Kitchens is happy to help you incorporate these most desirable traits into your new kitchen’s design. Get in touch with us to start discussing your renovation.